WASHINGTON—BP PLC, despite being put under pressure by the U.S. government to pay for the oil-spill aftermath, has succeeded in pushing back on two White House proposals it considered unreasonable, even as it made big concessions, said officials familiar with the matter. BP last week agreed to hand over $20 billion—to cover spill victims such as fishermen and hotel workers who lost wages, and to pay for the cleanup costs. [BP will not pay for all of the costs associated with Obama’s moratorium, costs estimated at $300 billion dollars by the Oil industry. $300 billion dollars. BP is working to make a $5 billion dollar down payment on a $20 billion dollar claim fund while Obama is making “executive decisions” that will cost America $300 billion dollars. During the negotiations BP agreed to contribute $100 million dollars towards the costs associated with the moratorium. Industry experts have stated that the cost to rig workers in “lost wages” alone will total $330 million doallrs a month for the duration of the moratorium. currently scheduled to last 6 months. Total costs for a 6 month moratorium are estimated at $300 billion dollars]. “Ms. Gorelick (BP ‘s Attorney) told White House negotiators their legal position mandating BP’s assistance to displaced workers was weak. White House officials conceded such workers may not be able to qualify for direct assistance under the $20 billion fund, a White House official in the room said. BP’s negotiators agreed to voluntarily add $100 million as “a goodwill gesture,” one adviser said. The two sides didn’t agree how that money would be distributed. In assuring Americans that BP won’t control the compensation fund for Gulf oil spill recovery, President Barack Obama failed to mention that the government won’t control it, either. That means it’s anyone’s guess whether the government can, in fact, make BP pay all costs related to the spill. Obama aimed high in his prime-time Oval Office address Tuesday night — perhaps higher than the facts support and history teaches — as he vowed to restore livelihoods and nature from the still-unfolding calamity in the Gulf of Mexico. Can The Government Actually Make BP Pay? THE FACTS: An independent arbiter is no more bound to the government’s wishes than an oil company’s. In that sense, there is no certainty BP will be forced to make the Gulf economy whole again or that taxpayers are off the hook for the myriad costs associated with the spill or cleanup. The government can certainly press for that, using legislative and legal tools. But there are no guarantees and the past is not reassuring. It took 20 years to sort through liability after the Exxon Valdez oil spill in Alaska, and in the end, punitive damages were slashed by the courts to about $500 million from $2.5 billion. Many people who had lost their livelihoods in the spill died without ever seeing a check. Will BP Be Able To Contain Most Of The Spill Soon? THE FACTS: BP and the administration contend that if all goes as planned, they should be able to contain nearly 90 percent of the worst-case oil flow. But that’s a big “if.” So far, little has gone as planned in the various remedies attempted to shut off or contain the flow. Possibly as much as 60,000 barrels a day is escaping. BP would need to nearly triple its recovery rate to reach the target. 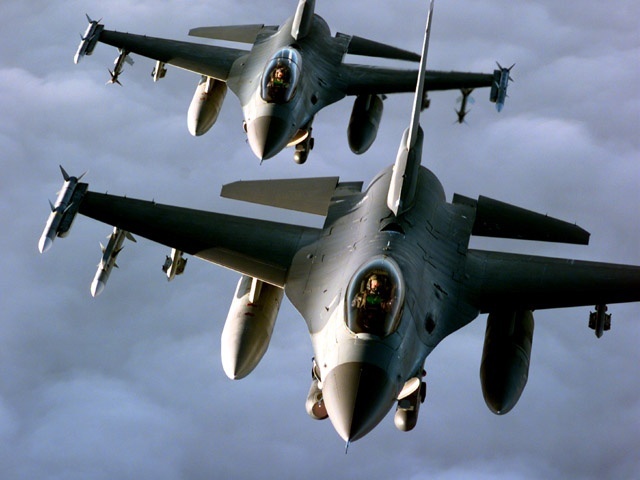 CHECKING THE FACT CHECKERS: Will they contain most of the oil soon? Will they have an accurate estimate of how much oil is flowing into the gulf? Will Drilling A Relief Well Make Things Better Or Worse? THE FACTS: That’s the hope, but experts say the relief well runs the same risks that caused the original well to blow out. It potentially could create a worse spill if engineers were to accidentally damage the existing well or tear a hole in the undersea oil reservoir. CHECKING THE FACT CHECKERS: The Government is reporting that the relief well is “within 200 yards of the existing well, and while those reports are “accurate” , there is in fact, over 2000 yards left to drill before the “relief well” will intersect the original well. At present the relief well is 200 yards away, 200 yards horizontally, from the original well. Unfortunately, the relief well is not being drilled “horizontally”. When the relief well was first started on the floor of the Gulf, the well was just over 200 meters away from the original “well head”. Has The Federal Government Really Been Charge? THE FACTS: Early on, the government established a command center and put Coast Guard Adm. Thad Allen in charge of coordinating the overall spill response. But officials also repeatedly have emphasized that BP was “responsible” and they have relied heavily on BP in making decisions from hiring cleanup workers to what oil dispersing chemicals to use. Local officials in the Gulf region have complained that often they don’t know who’s in charge — the government or BP. What Took So Long To Implement Preventative Measures? THE FACTS: Louisiana Gov. Bobby Jindal and local officials pleaded for weeks with the Army Corps of Engineers and the spill response command for permission to build about 40 miles of sand berms along the barrier islands. State officials applied for an emergency permit to build the berms May 11, but as days went by Jindal became increasingly angry at federal inaction. 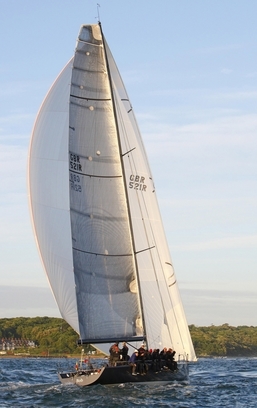 The White House finally agreed to a portion of the berm plan on June 2. BP then agreed to pay for the project. The corps was worried that in some cases such a move would alter tides and drive oil into new areas and produce more harm than good. THE FACTS: Obama issued a six-month moratorium on new permits for deepwater drilling but production continues from existing deepwater wells. CHECKING THE FACT CHECKERS: BP will not pay for all of the costs associated with Obama’s moratorium, costs estimated at $300 billion dollars by the industry. $300 billion dollars. BP is working to make a $5 billion dollar down payment on a $20 billion dollar claim fund while Obama is making “executive decisions that will cost America $300 billion dollars. During the negotiations BP agreed to contribute $100 million dollars towards the costs associated with the moratorium. Industry experts have stated that the cost to rig workers in “lost wages” alone will total $330 million doallrs a month for the duration of the moratorium. currently scheduled to last 6 months. BP is preparing to sue its main partner in the leaking Gulf of Mexico oil field for its share of clean-up costs after the company, Anadarko, said BP’s behaviour revealed “gross negligence” and that the ­accident was preventable. In a fundamental split between the two companies with lead responsibility for the well, a senor BP source told The Sunday Telegraph that Anadarko was “shirking its responsibilities”, not accepting its liabilities and that legal action in the US was now likely to follow. Anadarko, which has a 25pc stake in the well, signalled this weekend that it will refuse to pay up. BP has already sent the company one demand for payment but, the BP source said, had yet to receive any costs for the multi-billion ­dollar clean-up operation. Jim Hackett, Anadarko’s chief executive, launched a damning attack on BP, the majority owner and operating partner, alleging there were signs of “gross negligence or wilful misconduct”. Mitsui, the 10pc owner of the well, has made no decision on whether to admit liability for its share of costs, but is likely to join Anadarko in its refusal to contribute. BP could then also take legal action against that company as well. The deepening row over costs followed a call from US Congressman Edward Markey, saying Anadarko and Mitsui should be held accountable and set aside money to pay a share of claims tied to the spill. “They cannot escape responsibility,” he said. Analysts are also getting restive about the uncertainty surrounding Anadarko and Mitsui because their involvement in paying claims would have a huge impact on BP’s financial position. 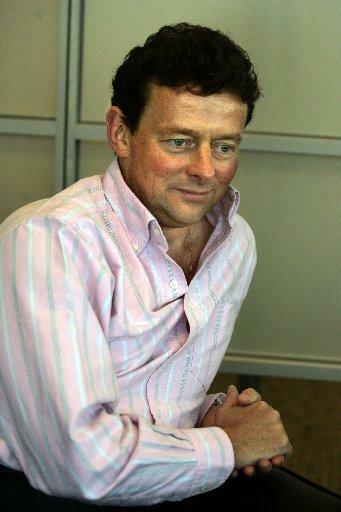 In what one environmentalist described as “yet another public relations disaster” for embattled energy giant BP, CEO Tony Hayward took time off Saturday to attend a glitzy yacht race around England’s Isle of Wight. As social networking sites like Twitter and Facebook lit up with outrage, BP spokespeople rushed to defend Hayward, who has drawn withering criticism as the public face of BP’s halting efforts to stop the worst oil spill in U.S. history. April 22: The Deepwater Horizon drilling platform, which had been burning for two days, sinks into the gulf. President Obama, after speaking in New York about the significance of financial regulatory legislation, hosts an Earth Day celebration in the Rose Garden. April 23: The U.S. Coastguard pronounces 11 Deepwater workers dead after traveling almost 2,000 miles throughout the gulf in search of their bodies. The president and First Lady Michelle Obama travel to North Carolina for a brief 3 day vacation, where they enjoy BBQ. April 24: Coast Guard Rear Admiral Mary Landry announces that the Deepwater wellhead is spewing crude oil into the Gulf of Mexico. The president and first lady continue to enjoy their vacation in North Carolina. April 26: A remote sub fails to stop the leak. Just four days after the explosion, the spill covers an area the size of Rhode Island. After hosting a ceremony for the New York Yankees, Obama travels to Andrews Air Force Base for a game of golf. April 28: The National Oceanic and Atmospheric Administration (NOAA) pegs the leak rate at 5,000 barrels a day — up from BP’s claim of 1,000 barrels a day. Obama leaves Iowa and spends the day in Illinois, where he speaks to the owner of a family farm. He then visits a biofuel plant. April 29: Louisiana Gov. Bobby Jindal declares a state of emergency, as the spill “now covers a 600-square-mile area” and “is about 16 miles off the state’s coast.” Obama delivers remarks in Washington on the importance of cybersecurity. Later in the day, he attends a FEMA meeting about hurricane preparedness. May 1: The U.S. military lends BP two C-130 aircraft to release potentially dangerous chemical dispersants over the oil spill. Obama tells jokes at the White House Correspondents Association Dinner, including one about killing the Jonas Brothers using CIA drones. May 8: BP’s containment dome, thought by many to be one of the environmentally safest solutions, fills with ice and fails to stop the leak. 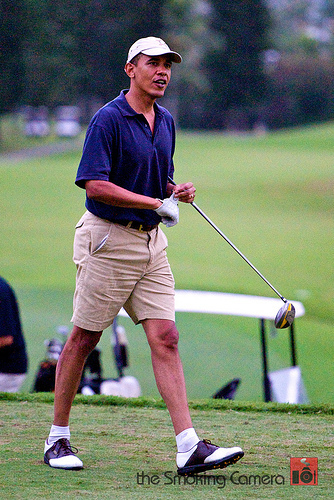 Obama plays golf at Arkansas’s Fort Belvoir. May 9: The first tar balls wash up on Dauphin Island off the coast of Alabama. Obama delivers the commencement address at Virginia’s Hampton University. May 12: Under pressure from journalists and government agencies, British Petroleum releases a short video of the wellhead, located one mile beneath the gulf surface. Using independent analysts, NPR determines from the video that at 50,000 barrels a day, the leak rate is 10 times higher than NOAA’s estimate and 50 times higher than BP’s early claim. Obama spends the morning with Afghanistan President Hamid Karzai. After lunch, Obama retires to the Oval Office with his advisers. May 17: While BP attempts to siphon oil into a special tube, scientists warn that the oil is headed for the Gulf Stream, which would carry it around the southern tip of Florida and into the Atlantic Ocean. Obama hosts the University of Connecticut’s women’s basketball team. May 18: Tar balls wash up on the shores of Key West, Fla. Obama tours a factory in Ohio. Later in the day, he meets with Jewish members of the Democratic Caucuses. May 22: Wildlife officials in Louisiana tell the Associated Press that they are considering setting the state’s fragile marshes on fire in an effort to staunch the contaminating effects of the oil. White House officials announce that they are beginning a multi-year renovation project for the north side of the White House. Obama delivers the commencement address at the Military Academy at West Point. May 26: BP announced yet another plan for stopping the spill, a maneuver called “Top Kill” that involves pumping mud into the Deepwater wellhead in order to clog it. This same day, officials begin pulling fisherman off the gulf due to toxic oil fumes. 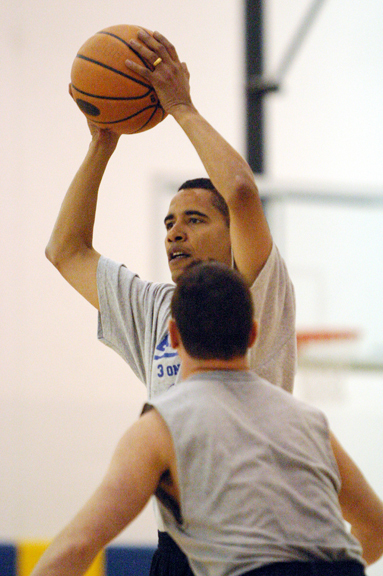 Obama hosts the U.S. World Cup soccer team and the Duke men’s basketball team. May 28: Obama makes only his second visit to a grief-stricken Louisiana before heading on vacation. 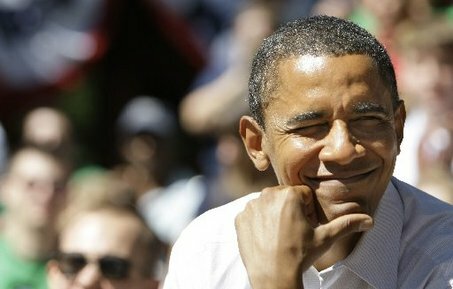 While on vacation over the next 4 days, Obama played two more rounds of golf. 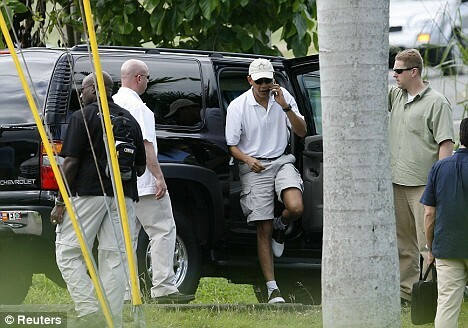 Between June 2 and June 12 Obama played two more rounds of golf. Day 61 In The Gulf: Complaint Media Drones On About BP CEO – “Who Is In Charge”? [I view this article as the “closing act” of the “political theatre” presented this last week in Congress, “political theatre” in the form of a “play” entitlted “Congressional Hearings On The Gulf Oil Spill”. The “latest act” is this article from a compliant press intent on distracting the “common man” from the true crisis. An article created by Congress for Congress. A compliant AP published this article to help provide “cover” for the U.S. Congress and to help Congress hide its incompetence. Once again the American people have been subjected to the spectacle of a Congress badgering a witness with their “perfect hindsight”, because they failed to perform appropriate “oversight”. An article intended to deflect attention from the fact that Congress may have failed to enforce our existing laws one again. Congress will do anything to hide their incompetence, to mask their dereliction of duty. Congress will seek to demean and degrade. They know no limits, they have no decency. This article serves no purpose other than to provide “talking points” for the Politicians. Just another “scene” in Congress’s political theatre of the macabre; a “scene” where the Politicians assume the costumes of the “concerned legislator” and of “vigilant oversight”, characters rushing to complete their lines and their lies, before the final curtain falls. This article serves one purpose; Congress people will falsely tell their electorate that they “took care of” Tony Heyward, just as Congressman Stupak implied when he asked, “Do you plan on being BP’s CEO very much longer”. The charade will continue as the Congress people plead for your vote, imploring, “Heyward got what he deserved”, and we are, “not through with him yet”. Let me make my point “perfectly clear”, my comments are not in defense of CEO Heyward. My condemnation is of the false impression this article creates and the “system” that intentionally creates the “impression”. The “system” that presents this “play” for the common man’s consumption, the system that politely applauds the actor’s performances and then asks condescendingly whether we, the “unwashed masses”, know that this “Act” has ended. What a performance we were treated to. Waxman playing the Jester, delivering his lines flawlessly as he accused the witness of “kicking the can down the road”. What cheek! Such inpudence! Few would dare to be so brazen! 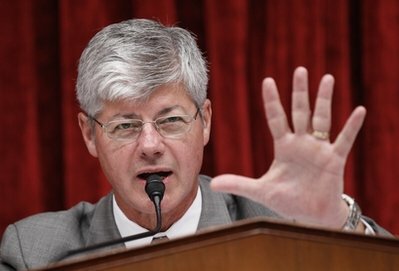 Then there was Stupak, reprising his role as Judas Iscariot in Obama’s production of “The Passion Play”. Few will forget Stupak’s betrayal of the unborn for his 30 pieces of silver. The media watched in awe and sat breatlessly as this actor dared questioned the witness’s integrity. Unbridled duplicity! What incongruity! Bravo, bravo, only in Washington! How the east and west coast media lavished their praise. NEW ORLEANS – Who’s in charge? Depends on whom you ask. Other company officials insisted, however, that Hayward was still the man and that the switch had already been announced and isn’t immediate. “Until the acute part of this crisis is over, until the leak is capped, Tony Hayward is still very much in charge in the response of this crisis,” BP spokesman Robert Wine said. Wine said Hayward “will at some point hand over the management of the aftermath,” and that Dudley is putting together a team that will “make sure that the long-term impacts are met with as well as the legal, political repercussions from this crisis.” Other company spokespeople also said Hayward was still in charge. 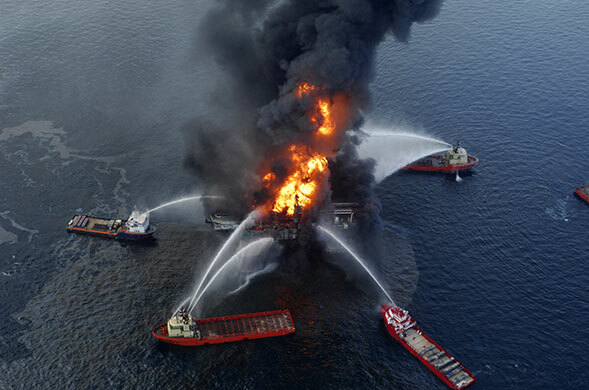 Anadarko Petroleum Corp., which owns a quarter of BP PLC’s blown-out oil well in the Gulf of Mexico, late Friday blasted BP “reckless decisions and actions” that led to the well’s explosion. The only other major well design, which is more expensive, includes more safeguards against a natural-gas blowout of the kind that destroyed the Deepwater Horizon. 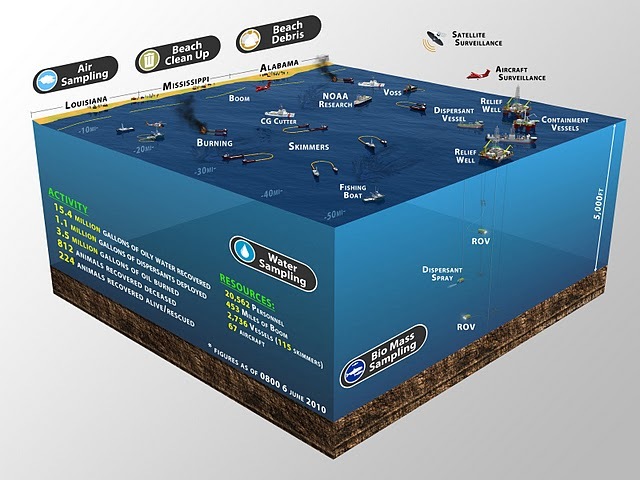 A Wall Street Journal analysis of records provided by the U.S. Minerals Management Service shows that BP used the less costly design—called “long string”—on 35 percent of its deepwater wells since July 2003, the earliest date the well-design data were available. Anadarko used it on 42 percent of its deepwater Gulf wells, though it says it doesn’t do so in wells of the type drilled by BP. 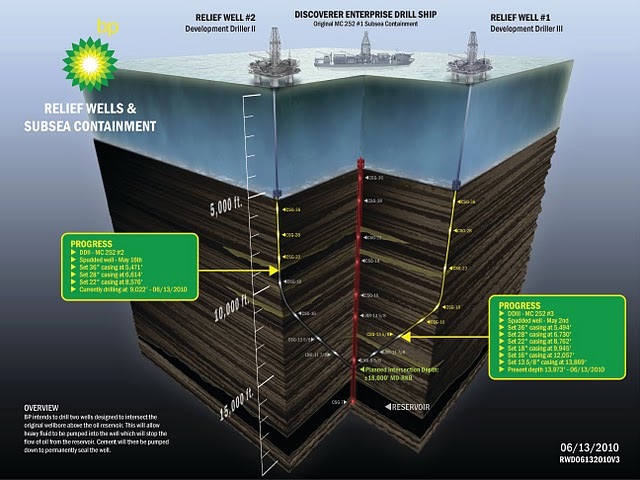 [Let me see, the premise is that the “well design is grossly negligent” – then how did the design get approved or certified for use and why has Andarko used it on 42% of its wells – 7% more frequently than BP has used the “design”. Is it because most people only read the headline of an article. I’m surprised the stats are right there, for all to read, in the body of the article]. 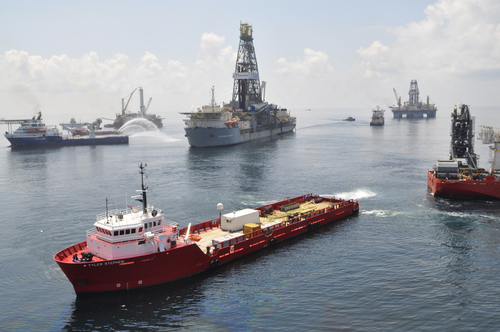 Both companies used the design much more often, on average, than other major Gulf drillers. Out of 218 deepwater wells in the Gulf drilled since July 2003, 26 percent used the long-string design. It derives its name from its use of a single, long “string” of pipe from the sea floor to the bottom of the well.